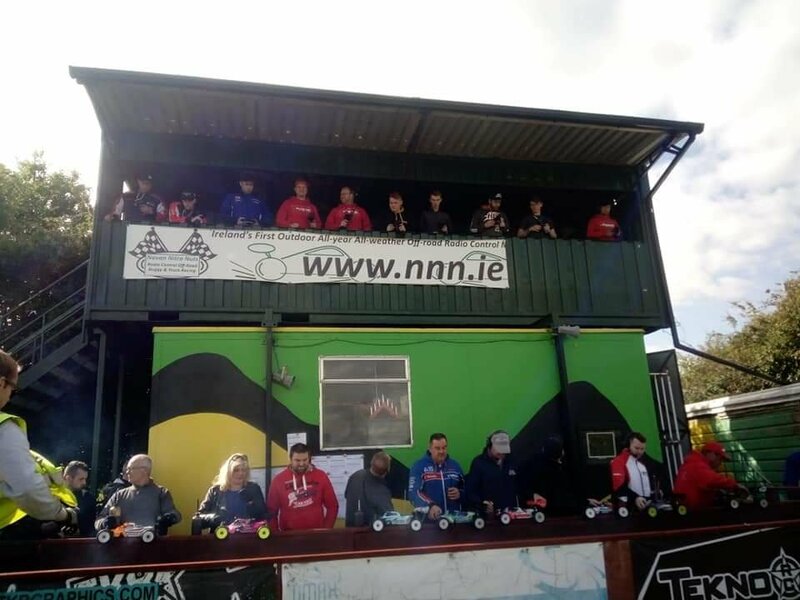 Well done to everyone who took part in Round 3 of the Championship over the weekend. Despite the delay in starting we got everything run even if it was a little dark by the end ( pitch black,  ). In Nitro great win by Bradley who was flying in his JQ, Derek came in 2nd in the Tekno and Barkley despite having a issue with the car brought his Agama home in 3rd. Ebuggy was a floodlight race and we were treated to a great battle between two of the Tekno drivers for 1st + 2nd nose to tail for the 10mins but it was Derek who took it after a last lap pass on Colin in near darkness. JQ driver Crtis Hughes drove a great race again this wekend finishing up in 3rd and showing hes no slouch when it comes to Ebuggy and 1/8th racing. No Podium picture as it was to dark, results and timings are available through the link above. Thanks again and cya all in 2 weeks for Round 4.